SEO contracts can be confusing, controversial, and a sticking point that we all quickly want to get past in the search industry. They don’t have to be, though, as they can be incredibly useful tools on the front end of an engagement to get everyone on the same page. By making them useful and realistic, we can find fair terms for all parties. The tone of our relationship with clients is often formed in the contract and negotiation phase. If the contract is a useful tool and looked at as the next step in the conversation to get started, it can be less of an experience focused on legalities and one that is more about defining work, roles, and expectations. When both parties end up with a feeling of mutual benefit from making the deal, it leads to solid expectations being set on what is covered, what isn’t, and how the work will be done. You want everyone to feel protected and comfortable at this phase. The components of the contract are essential to ensuring that you are thorough, but realistic in the service you are offering. Here are 13 components that you should include in any SEO or digital marketing contract. Take advantage of the opportunity to reiterate what you have already pitched or shared about your company or consultancy. You bring unique perspective and value to the relationship. Don’t take for granted your opportunity here or assume that your prospective client isn’t reviewing two or three additional contracts or that occasional last-minute “friend-of-a-friend” proposal that might come through while your contract is in front of the prospect. 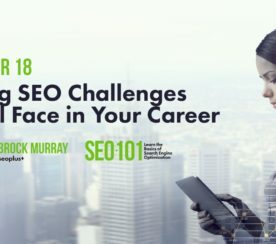 If your proposal is put side-by-side with one from another company, do you have enough content about your company and unique approach to compete? Sure, you might still need a lot of legal stuff, but don’t forget that this is one more place to make your final pitch or reminders of why you offer the best option. Be clear about who on your team will be doing the contracted work. This is your chance to set expectations for what the onboarding process will look like and how a transition from owner or sales-person to the search marketing team will happen (if a hand-off is going to happen). If you’re selling the services but don’t do the day-to-day work, you want that to be clear so your new client knows they shouldn’t expect to call you for every detail of the campaign going forward and not to be surprised when new people are introduced into the relationship. Similar to a resume, I recommend adding professional references and contact info to the contract. By offering this up front, you’re showing honesty and trust by not waiting to be asked. Just be sure to let the reference contacts you list know that they might get some emails or calls so they aren’t surprised (or annoyed). You don’t need to let this content get in the way of the necessary components of the deal. However, like the “about” section noted above, it is great when you can add one more reassuring section with links to relevant case studies, testimonial quotes, and other examples. This is important especially if you’re responding to an RFP or know that you’re up against other competitors. Your work and unique approach help you differentiate on areas other than just price. Even if you have pitched and presented this previously, it is possible that not all people reviewing the contract were involved in your previous interactions. 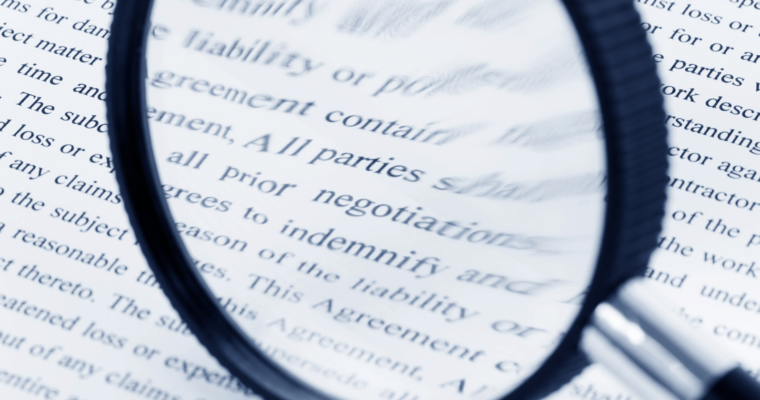 There’s a time and place for legal terms: at the end of your contract (if necessary). Keep your scope and deliverables section as client-friendly as possible. The more confusing and legal you make the terms of what you’re doing in paid or organic search, the more you might overwhelm or confuse your prospect. 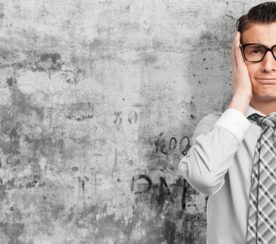 I have experienced instances in the past where the subject matter detail and stipulations tripped up a prospect or made them uncomfortable and caused them to go silent and pause the process. Also, stick to your position on what your process and deliverables are. Remain firm on your personal and company moral and ethical code even when pressed for guarantees or things that you aren’t comfortable including. The more technical and legal your deliverables are, the more legalistic your service offering and campaign results later will be judged when we know in search that nothing is guaranteed. Clients often seek assurances on when rankings and traffic will be produced and you have to answer the question with confidence. However, what you’re legally agreeing to in the contract should not violate search engine guidelines or put your company or the clients at risk. 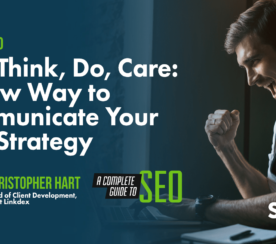 Plus, you want to keep the conversation around the business goals of SEO and not on the literal ranking positions as they are not the end goal. Stating when you are starting the work, when specific phases will be completed, and what the overall term of the agreement provides perspective. If you are vague and the agreement is signed, you risk running into issues of when the client thinks specific activities are going to happen as the expectations may not be timed based on your process and methodology. If you’re doing an audit or setup first, make that clear. That is valuable work that won’t necessarily result in the implementation of the strategy and drive traffic right away. Whether you use a flat rate, have a blended rate, a revenue share, commission structure, have a flat management fee – or any other structure for pricing – give enough detail to answer any potential questions before they are asked. Pricing can be a sensitive and make-or-break aspect of an agreement. You want to be sure about what your model is knowing the pros and cons of different models. Confusion and obscurity can create questions in the mind of your prospect that lead to a bad impression or trust issue that is hard to get past. To avoid questions and confusion when you start billing, you want to spell out when invoices will be issued, what the payment terms are, payment options, and how installments will work. If you’re billing prior to work or in arrears, that should be defined. This is an area that gives you some flexibility if you have it on your end. If you have an initial setup fee, you can negotiate spreading it out over time or break out into more even monthly billing installments if that helps the client and wins the deal. This also sets clear expectations so you don’t have to answer questions or settle terms when you’re well into a campaign. 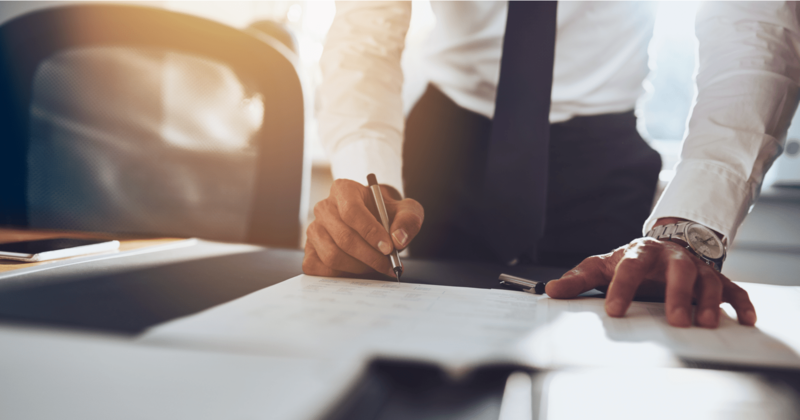 Regardless of whether your clients can cancel at any time or if they are in a long-term contract, you need to define what the term is and what the process is for terminating. Is there a mutual opt-out clause? Are there penalties for early termination? Define those now so in the unlikely event they are exercised, everyone is clear on what steps are required and what financial obligations exist. In most cases, you have some legal details to include in your agreements. In some cases you might have unique or custom contingencies built into the contract. I recently wrote in a clause that if any key members of the client’s team leave my organization that I will waive the standard cancellation period and financial obligations. This gives the security to know they can walk away if they aren’t comfortable with the team they are working with if there’s a disruption. I don’t do this for everyone, but in certain cases, I feel comfortable and confident to write that in. For cases like “act of God” and worst-case scenarios, defining what is necessary legally can provide assurances for the investment your client is making. To this day I continue to onboard clients who are burdened by difficult situations regarding getting their AdWords, Analytics, and other accounts transferred. Even if you aren’t working with a client who has been burned in the past and isn’t questioning your motives, it’s a good move to include details on who owns what. Do you own the reporting accounts, creative, and tactical plan? Does the client? If you spell that out in advance you can reach a comfort level on what separation would look like and if you’re giving the client ownership, winning some goodwill in the process. Set the tone for the possibility of expanding your contract down the road by identifying how scope changes will be handled. What does it look like to change scope? If you have to do a brand new contract and reset cancellation terms, that’s important to note up front so when you add the scope, you’re making the process easier. If you just need a change order, define what that process looks like. Make it clear and easy to understand to save hassle and intense new negotiations down the road. There are two reasons to state an expiration date in your contracts. You want your prospect to take action and execute the agreement now. You reserve the right to change your rates and outside factors may necessitate changing your process and the scope. By setting an expiration date, you can give yourself room to make changes or create a new contract if the prospect stalls on signing. Overall these 13 contract components might seem like a lot. Well, that’s because they are. However, the SEO contract can be so much more than just a legal document. It can serve as a useful tool at what is often one of the most important steps in the relationship building process with a new client. The more you can do to show you’re organized, have accounted for all the pertinent details in the agreement, and establish roles in this phase, the smoother things will go down the road should you need to address any changes in scope or expectations.